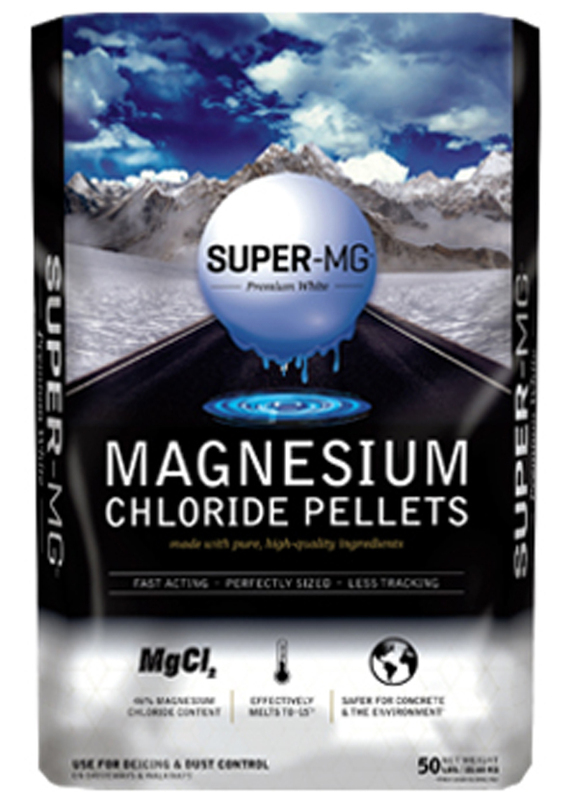 Premium performance blend with melting power to -05°F! 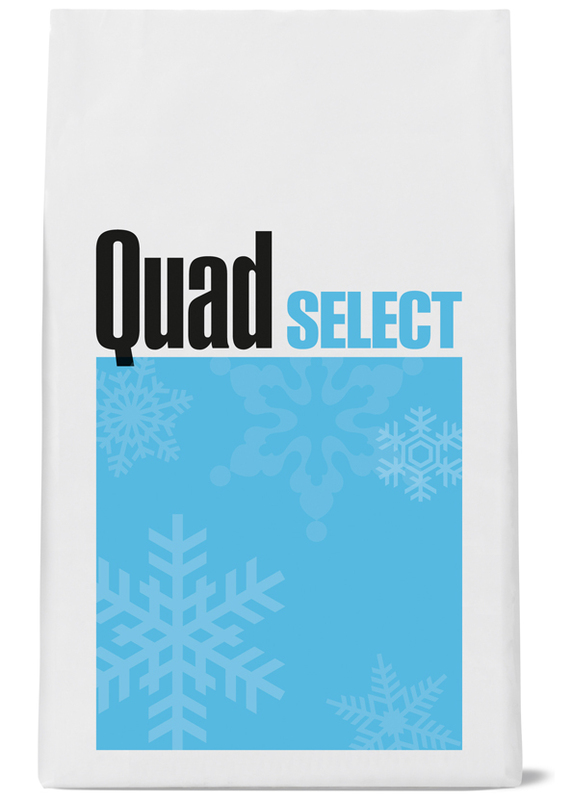 Quad Select™ Premium Ice Melter provides fast and powerful results even in subzero temperatures to -15° F. Our proprietary granular formula uses the power of calcium, magnesium, sodium and potassium chlorides to melt ice even under extreme weather conditions and helps to prevent re-freezing. Quad Select Premium Ice Melter contains a water-based, non-staining blue indicator dye to make the application process more efficient. Our indicator dye prevents over application which cuts down on waste and plant damage. 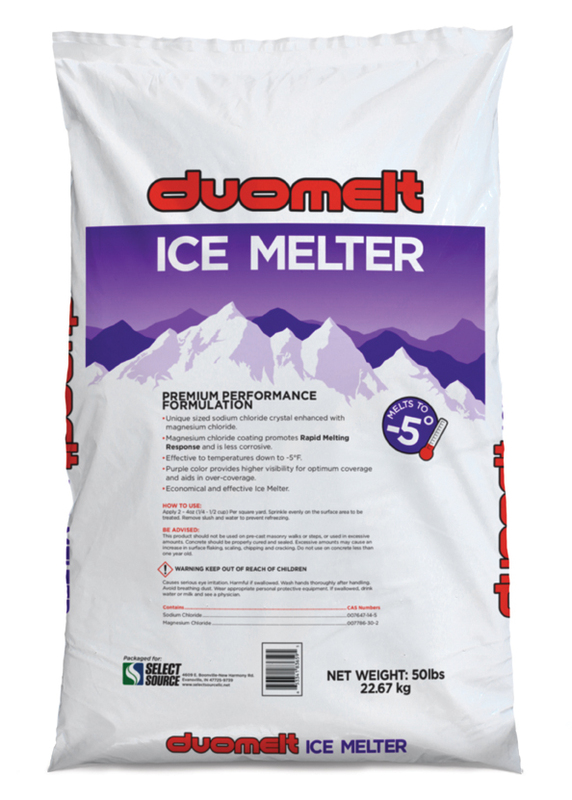 Quad Select Premium Ice Melter acts fast to melt away snow and ice on concrete, asphalt, brick and wood surfaces. 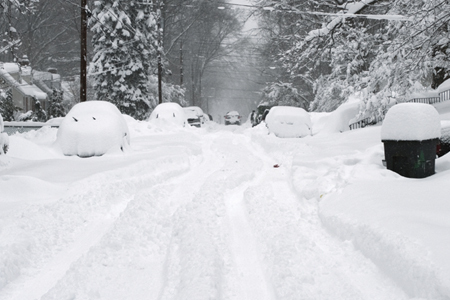 Proven product to clear sidewalks, parking lots, walkways, decks and steps when the weather conditions are severe. X-Melt saves you money, reduces corrosive effects on your equipment, and saves labor hours in the field. 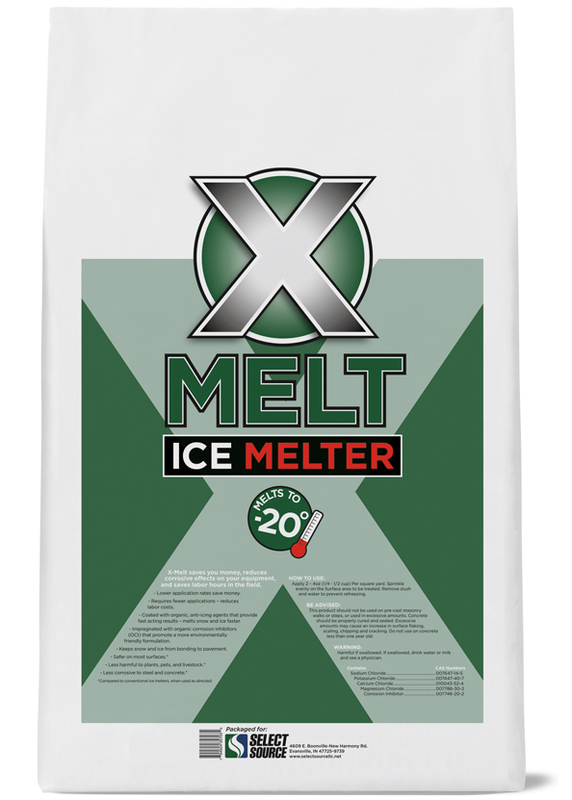 X-Melt Ice Melter was designed for the high-performance needs of snow professionals. X-Melt is coated with organic corrosion inhibitors (OCI) that greatly enhance the melting capability of chloride based ice melters. It works by lowering the freezing point of water, rather than heat through chemical exothermic reaction, preventing snow and ice from bonding to the surface of which it is applied. Extra-strength blend with fast-acting melting power to -20°F! 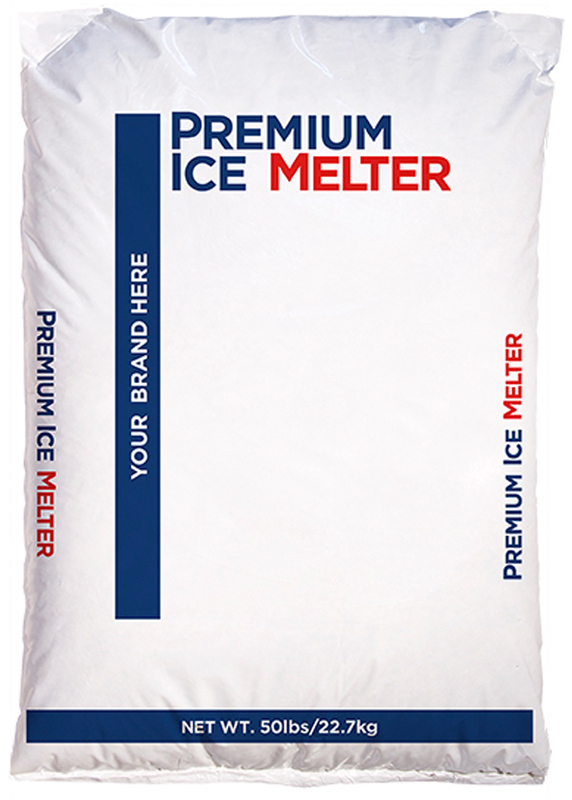 Looking for a Private Label Ice Melt product? Contact Brian McCloud at Select Source to discuss your needs and what options are available.